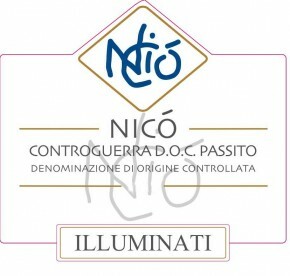 ‘Nico’ takes its name from Nicola Illuminati, the founder of the winery. A passito made with dried 100% Montepulciano grapes, Nico’ is ruby red with hints of garnet. On the nose it is intense, complex and reminiscent of red berry jam. Rich on the palate, velvety and soft, with a long finish. It is a great accompaniment to country-style desserts, tarts and pastries and, for the more audacious, with pecorino cheese. Excellent as an after dinner meditation wine. Grapes are harvested after a careful selection, generally during the first decade of October, and are left to dry on trellises for approximately two months. Once they are dry, grapes are stemmed, crushed and left inside stainless steel tanks. Maceration lasts 15-20 days. Once the malolactic fermentation is over, wine is poured into Slavonian oak barrels where it stays for 30 months, after which bottling takes place. Before being put on the market, this wine is refined in bottle for a further 15 months.